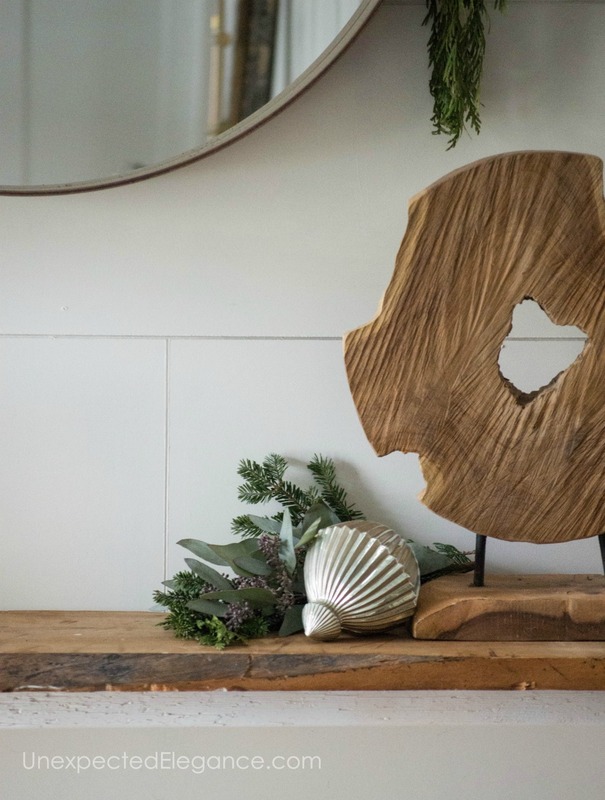 Decorating with greenery for Christmas is one the best ways to add a festive vibe to your home! Get a professional look without spending a lot of time. Believe it or not, you don’t have to spend a fortune or loads of time to make your home beautiful this holiday season. There is one thing that will make the biggest impact and have everyone thinking you are a decorating pro. The best decor is found in nature… greenery! 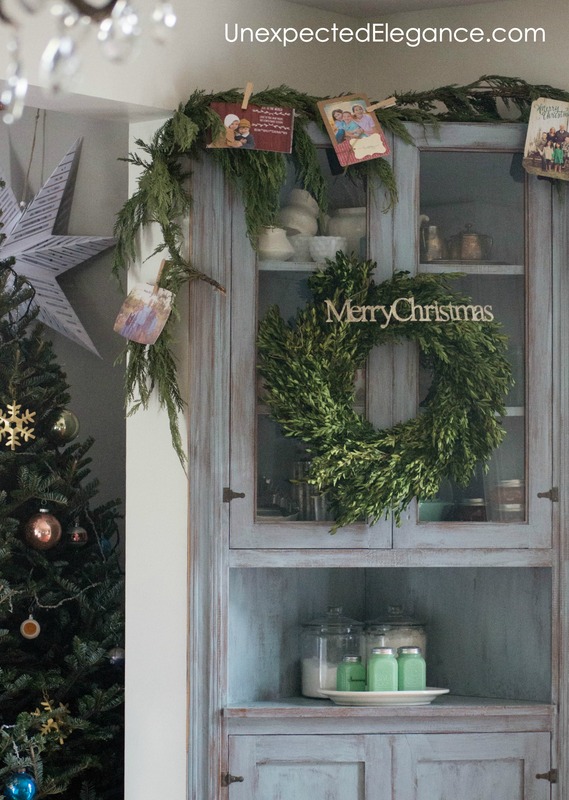 Decorating with greenery for Christmas creates such a big impact. Best of all, you can often get it for free from places that sell live Christmas trees or even your backyard. Whether you choose store-bought fresh varieties, free clippings from your yard, or artificial the results will be spectacular. 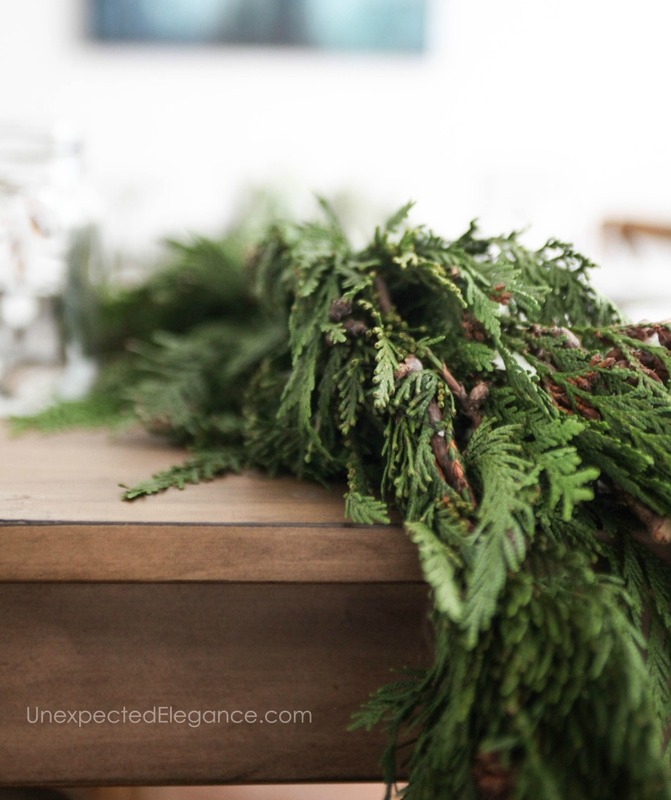 Personally, I love cedar garland and get it in 20-foot strands for between $6-$12. I like this type the best because it doesn’t lose needles like pine. I like to double it up to add some bulk and also make wreaths out of it. I also like to break it into sections and add things, like eucalyptus, for more interest. 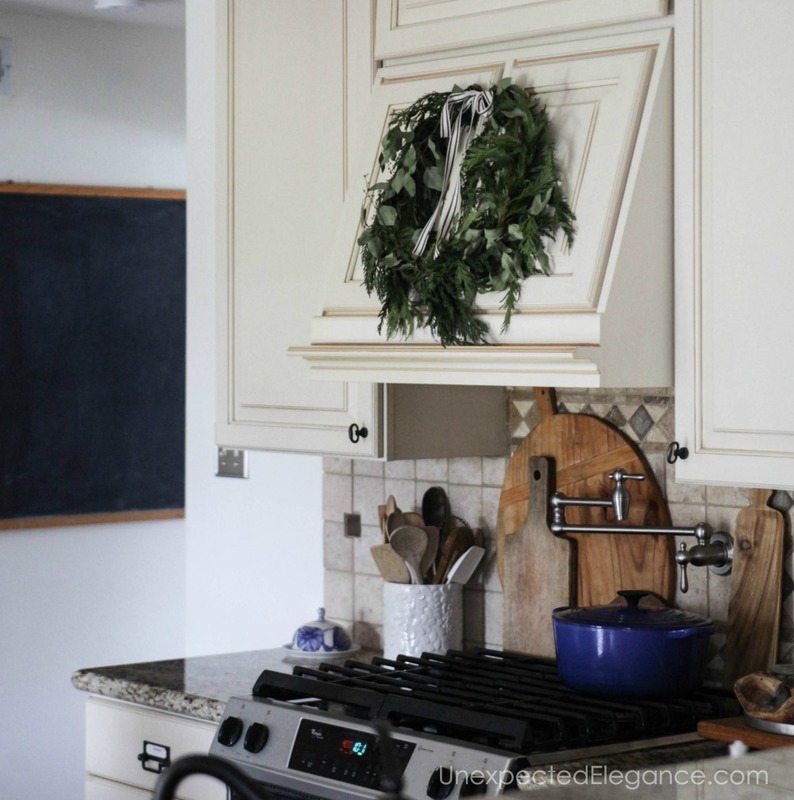 Inexpensive premade wreaths are also great for “sprinkling” around the house. 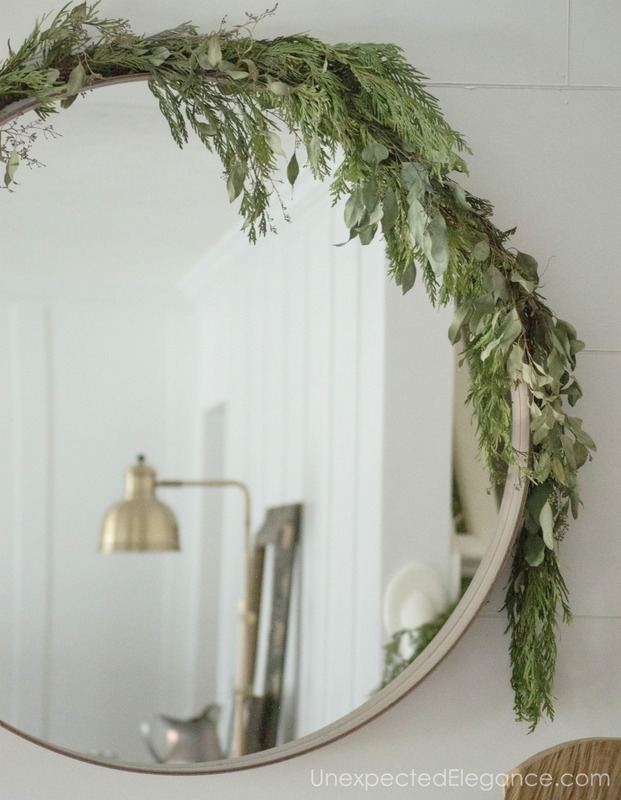 You can add ribbon, ornaments, or even other types of greenery to give them a more high-end feel. The most cost-effective way add greens around your home, is to get them for free. Often times, places that sell live trees will have clippings they are throwing out and will gladly give them to you. Otherwise, try your backyard or a wooded area near your home. Clippings are great to tuck in around things!! They instantly add a festive feel and so easy. If you can’t or don’t want live plants all over your house (allergies, cleanup or just can’t find any), artificial versions can also be used as the base for creating beautiful decorations. There are SO many great options. 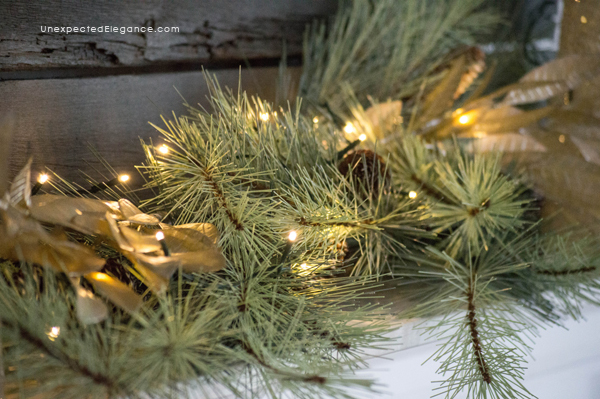 You can find some very realistic looking branches and garland online or at craft stores. I suggest a mix of both garland and branches. This option can be expensive but once you purchase it, you can re-use it for years. Places like Hobby Lobby and Michael’s run sales all the time so just check around before you pay full price. 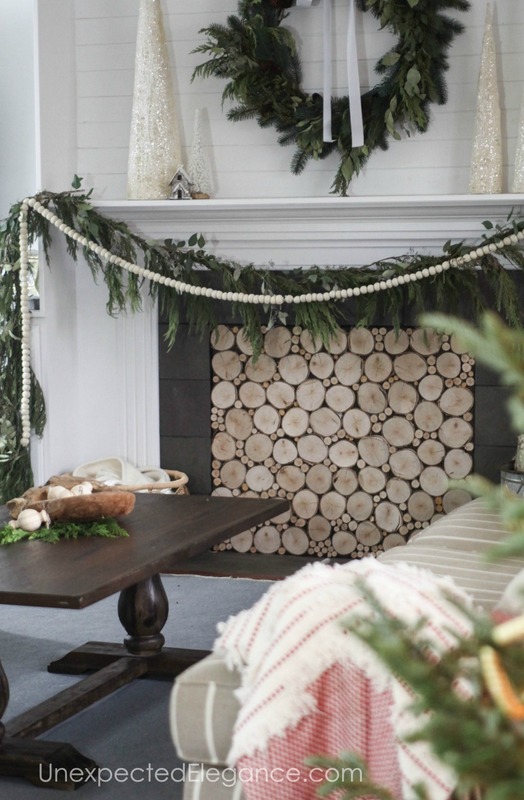 Drape garland around doorways and windows. 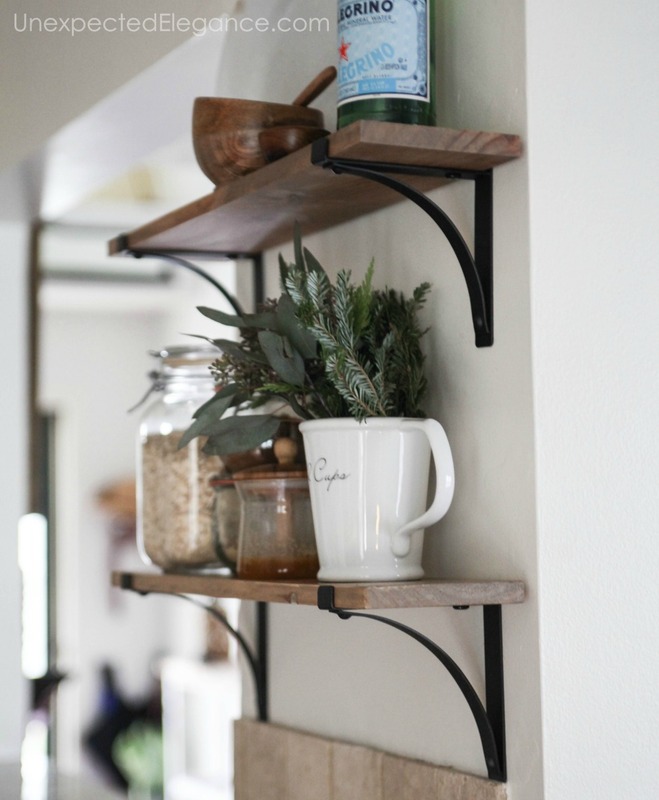 Tuck sprigs around objects on shelves. Place wreaths over fireplaces, artwork, mirrors, doors or windows. 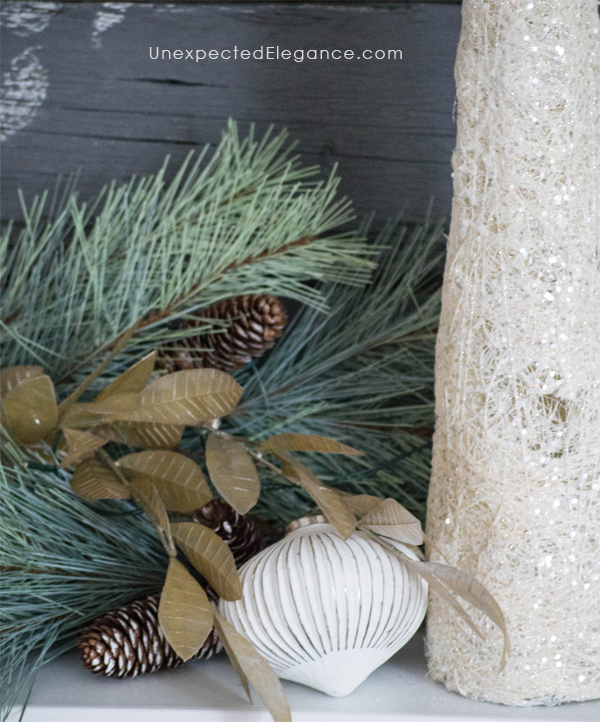 Add garland to the center of a table. Fill jars and vases with branches and sprigs. Once you have your greenery spread out throughout your house, go back through with a box of ornaments and add them to things. These two items will make your home festive without spending a lot of time…but will look like you did! You don’t have to spend a lot of time or money to make your home beautiful this Christmas. You just have to get creative and know a few tricks.